If properly developed, the discovery could lead to a breakthrough in environmental protection, as with the help of the ancient bacteria scientists will clean up oil spills and dangerous chemical leaks by simply turning them into water, Viktor Cherniavskiy, a renowned Russian doctor and epidemiologist, told Sputnik. There are three different strains of bacteria that were found in the permafrost. The first one is loosely called “the petroleum destroyer,” for its ability to break apart petroleum molecules, turning them into water. The second strain is capable of eliminating cellulose molecules. This could help scientists get rid of a great deal of urban and industrial garbage. And the third strain has shown to significantly boost the overall health of living beings. The bacteria dates back to over 18,000 years, and was found in the permafrost along with the remains of a woolly mammoth in Russia’s Republic of Yakutia. When the ancient strains of bacteria were discovered, after a thorough scientific research group of about 10 scientists from several Siberian cities found out that the ancient microorganisms had the potential to change the world, Cherniavsky said. “Nobody has ever discovered the bacteria that we have discovered, because they were kept frozen under the ground for thousands of years,” Cherniavskiy told Sputnik. The doctor also warned that before further work could be done, scientists need to find out if the bacteria might carry strains, hidden under the permafrost, which could be dangerous to people. Fortunately, so far, scientists have found no ill-effects. Another difficulty when developing the strains is the fact that they quickly lose their “magical” abilities when exposed to warm temperatures. Cherniavskiy explained that the ideal temperature range is between 4C and 8C. This is something that scientists need to further work on, developing methods that could sustain the transforming and regenerating abilities of the bacteria strains. 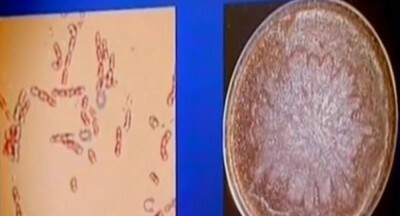 A few days ago, Russian media reported on the ancient microorganisms that could lead to the development of an “elixir of life,” a substance that allegedly could give people endless youth. According to reports, scientists from Novosibirsk, Ekaterinburg and Yakutsk tested a probiotic substance, derived from the ancient bacteria, on old mice in laboratory settings. The results were astonishing. The old mice under the experiment showed the signs of rejuvenation — their overall health improved and they recovered breeding abilities, lost due to old age. Now if the same substance were to be given to people, it could cause a significant improvement in their health as well, leading to the discovery of an “elixir of life,” Dr. Cherniavskiy speculated. Unfortunately, it’s too soon to say when this could happen due to laws that prohibit testing on humans. However, the Russian epidemiologist said that for centuries the local populations in North-Eastern Siberia were known to have very good health until very old age, despite very harsh environmental conditions. It could have been because they consumed local food that contained specks of the ancient bacteria, Cherniavskiy hypothesized.